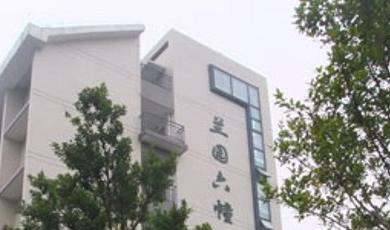 Chongqing University (CQU) is a key national university and a member of the“Excellence League”, located in Chongqing, Southwest China. It is also one of the “211 Project and 985 Project” universities with full support in the construction and development from the central government and Chongqing Municipal Government. 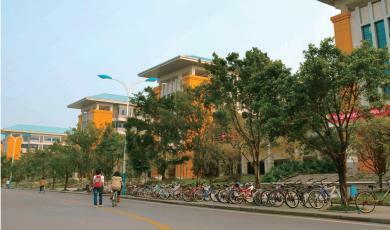 There are three international accommodations to suit students’ needs. 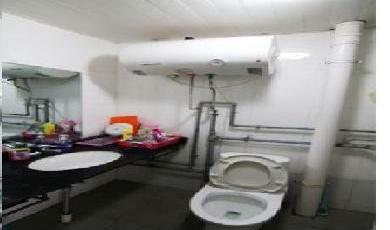 They are equipped with public kitchen, laundry house, gym, self-study centre, etc. 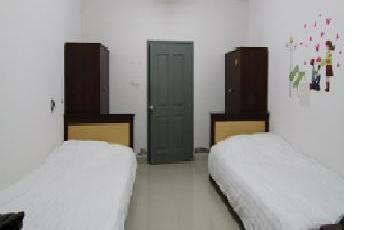 Each room is equipped with telephone, TV set, air-conditioner, shower, bathroom, internet access, and so on. Chinese language students will have classes in Campus A.
Undergraduates (except for undergraduates from College of Architecture and Meishi Film Academy) will have classes in Campus D.
Postgraduates from the following colleges：College of Foreign Language, College of Literature and Journalism, College of Software Engineering, College of Mathematics and Statistics，College of Physics will have classes in Campus D. Others will resident in Campus A.
ChongQing University gained some big programs based on National Social Science Fund again in 2015, and the law school won the national simulation environmental court competition. On 13th November 2015, Southeast University won the first prize on 17th QIYUE Reciting Artistic Festival. At the same year, it gained the honorary title---the work demonstration unit. Applicants must be non-Chinese citizens with a valid passport, above the age of 18 and under the age of 25, have attained a senior high school diploma. 1. Hardcopy of online application form. 2. Senior high school graduation diploma (Students expecting to graduate should provide an official letter stating expected graduation date, and submit the graduation diploma if admitted), which should be original documents or certified copies in Chinese or English. Applicants must be non-Chinese citizens with a valid passport, have attained a bachelor's degree for master program and Master’s degree for PhD program. 2. Graduation certificate and degree diploma (Students expecting to graduate should provide an official letter stating expected graduation date), must be original documents or certified copies either in Chinese or English. 6 Two recommendation letters from your referees. HSK 4 or equivalence for Chinese taught program, IELTS 6.0 or TOEFL 550 or equivalence for English taught program. Applicants must be non-Chinese citizens with a valid passport, in good health and age between 16 -60. 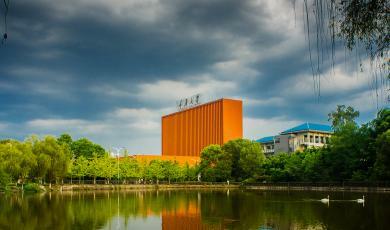 Chinese language program for 2014 is open to international students. We offer 6 levels of Chinese language programs—elementary I, elementary II, intermediate I, intermediate II and advanced I, advanced II. Comprehensive Chinese, Chinese Speaking, Chinese Listening, Chinese Reading, Chinese Writing, Chinese Painting and Calligraphy, Chinese Martial Arts, Chinese Culture, Chinese Newspaper Reading ,HSK Lectures, Business Chinese, etc. A study certificate will be granted when you finish the courses. 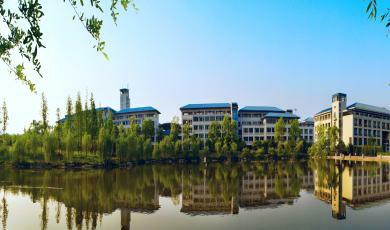 Chongqing University offers short-term intensive Chinese program (from one week to two months). Students will immerse in Chinese language and culture. Students will receive a study certificate upon completion of the program. 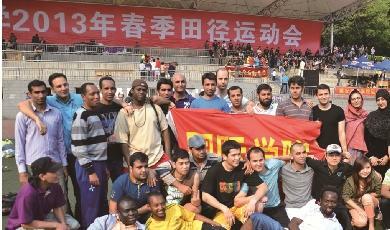 Chongqing University also runs short-term programs for groups of international students. Courses can be specially designed upon request, with language courses in combination with lectures which covers subjects related to Chinese economics, public policy, ethnics and values, history, geography, culture and arts. We will organize a wide range of visits including places of historic interest, scenic spots, exhibitions, companies, and museums. A certificate will be awarded at the end of the program. 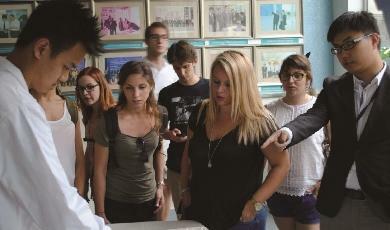 The program is specifically designed for those oversea students who study Chinese as a second language. It not only provides students with a systematical training in Chinese language theories and skills, but also highlights the knowledge regarding Chinese culture, Chinese literature, Chinese history, and Chinese philosophy etc. Equipped with a comprehensive knowledge in Chinese language and culture, students are supposed to be competent for teaching Chinese to the speakers of other languages, as well as conducting Sino-foreign cultural exchanges and cooperation. Comprehensive Chinese, Chinese Listening, Chinese Reading, Oral Chinese Practice, Chinese Writing, Chinese Culture, Chinese History and Culture, A Survey of Chinese Culture, Chinese Geography, Business Chinese, Journal Language and Listening, Modern Chinese, Chinese Law, Tourism Chinese, Chinese Classical Literature, Chinese Calligraphy, Brief Introduction to Linguistics, HSK Lectures, Dissertation Writing etc. Applicants must be non-Chinese citizens in good health, with an educational background beyond high school, with valid passport, above the age of 18. The teaching objective of Master of Teaching Chinese to Speakers of Other Languages (MTCSOL) is to cultivate the high-level, applicability and versatile talents who can adapt to the Chinese language international promotion task and are competent to use Chinese language as a second language or for foreign language teaching purpose. Recipient of MTCSOL degree should have solid cultural background of Chinese language which can be used as a second language or as a skill for foreign language teaching, a higher level of foreign language understanding and intercultural communicative capability. Advanced Chinese, Ancient Chinese, Modern Chinese, Chinese Language Elements Teaching, Application of Modern Educational Technology, Second Language Acquisition, Teaching Chinese as a Second Language, Case Analysis and Practice of Classroom Teaching, the Comparison of Chinese and Foreign Languages and Error Analysis, Chinese Culture and Intercultural Communication, Traditional Chinese Cultural Skills and the Presentation, Psychological Studies of Foreign Language Education, etc. Students are required to complete the curriculum and teaching practice, fulfill the designated number of credits, complete the master’s thesis and pass the dissertation defense. Successful graduates will receive a graduation certificate along with the master’s degree, according to the regulation of the Degree Committee. Students who are not qualified to graduate will receive a certificate of completing the courses. Students who drop out the program due to certain reasons will receive a study certificate. Applicants must be non-Chinese citizens in good health, have obtained a bachelor degree, passed HSK5 or equivalence, above the age of 18.